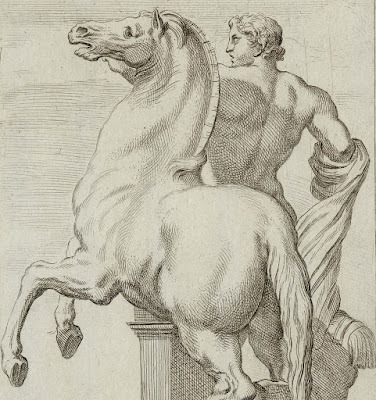 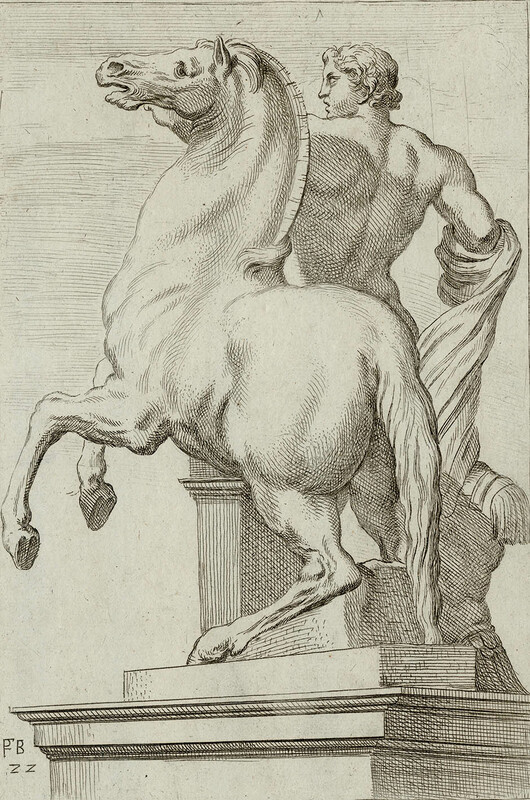 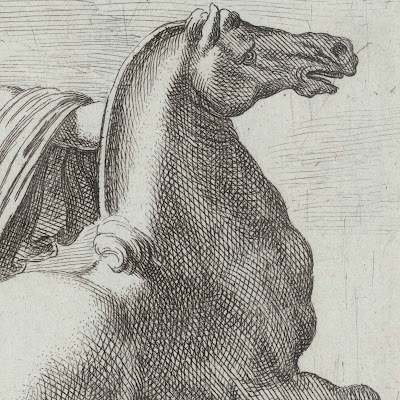 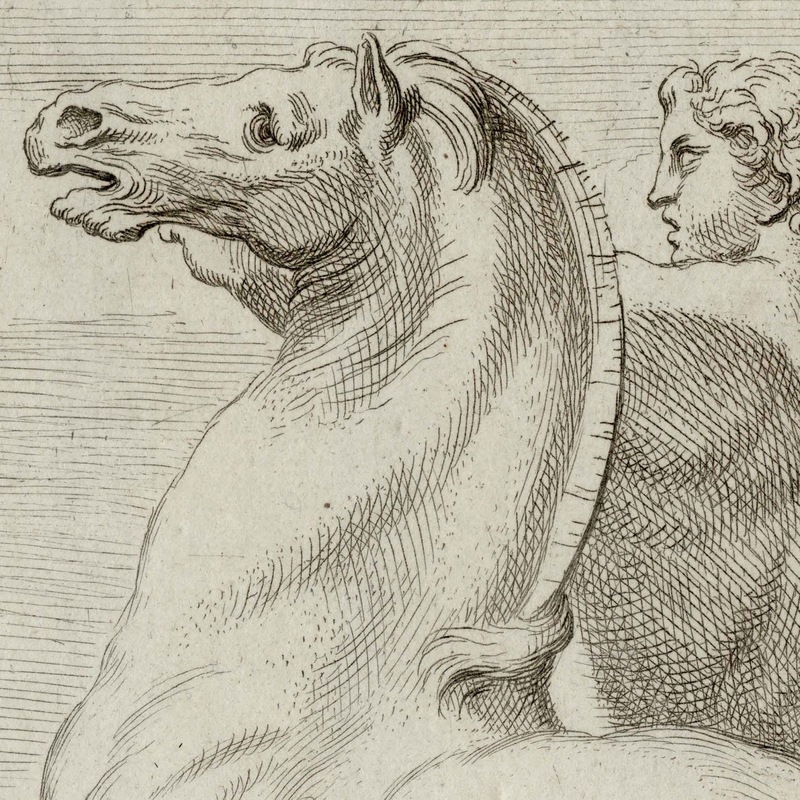 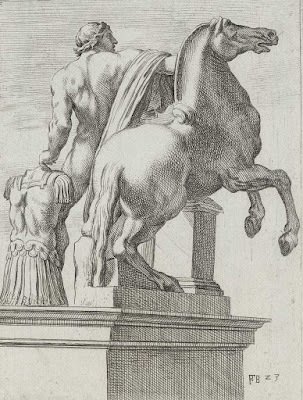 “Sculpture of Alexander taming Bucephalus facing right” (descriptive title only) (aka “Horse Tamer”), 1638, from the series of 101 plates, “Segmenta nobilium signorum et statuarum”, published in 1638 by Veuve Perrier (fl. early 1600s). Note that the series was reprinted five times in the 1600s (see British Museum no. 1895,1031.28). 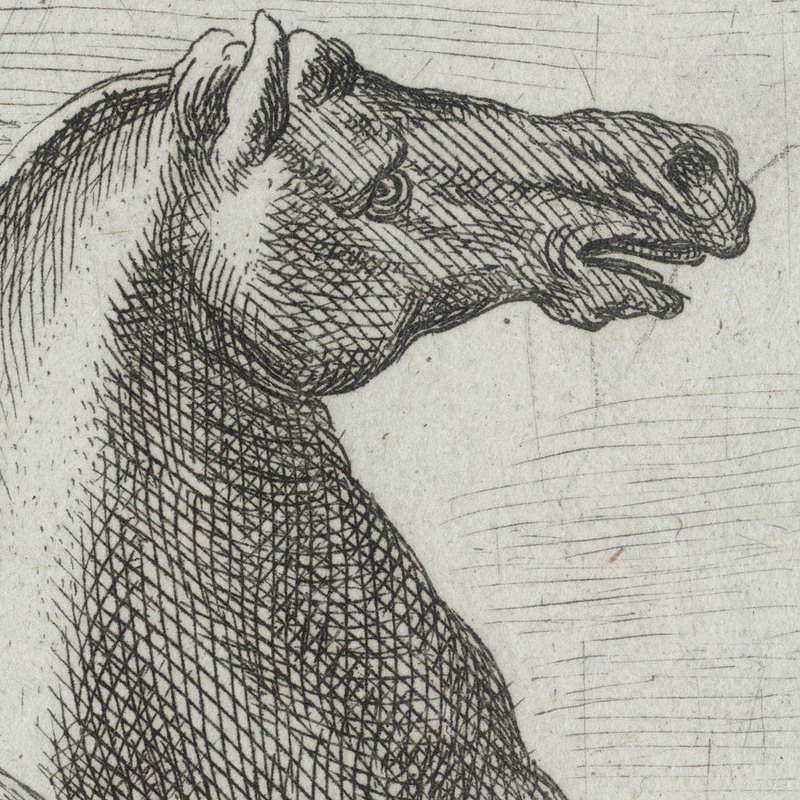 Etching on fine laid paper backed with a support sheet. 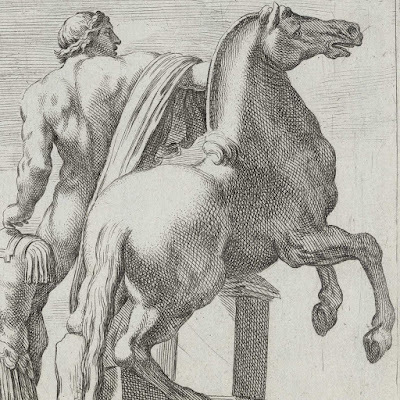 Inscribed on plate at lower left with the artist’s monogram and the plate number. Size: (sheet) 29.8 x 21.5 cm; (plate) 23.7 x 16 cm; (image borderline) 23.8 x 15.5 cm. 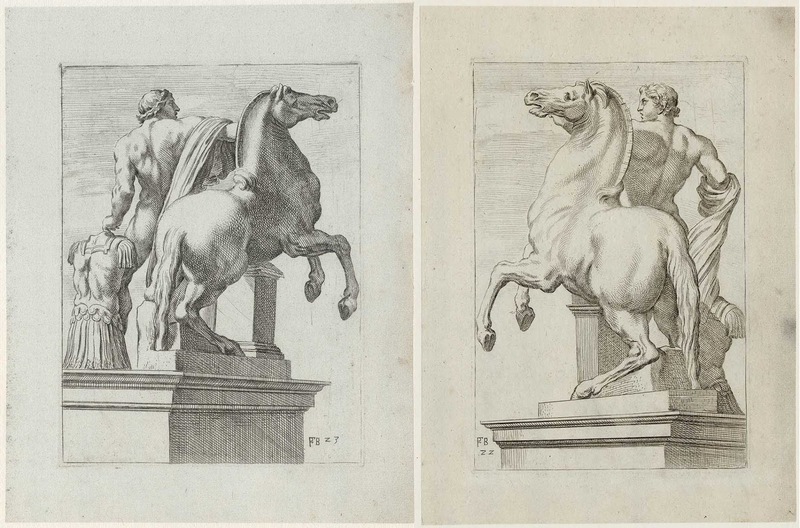 Condition: crisp, near faultless impressions laid upon archival support sheets of millennium quality washi paper. The sheets are in excellent condition for their considerable age (i.e. 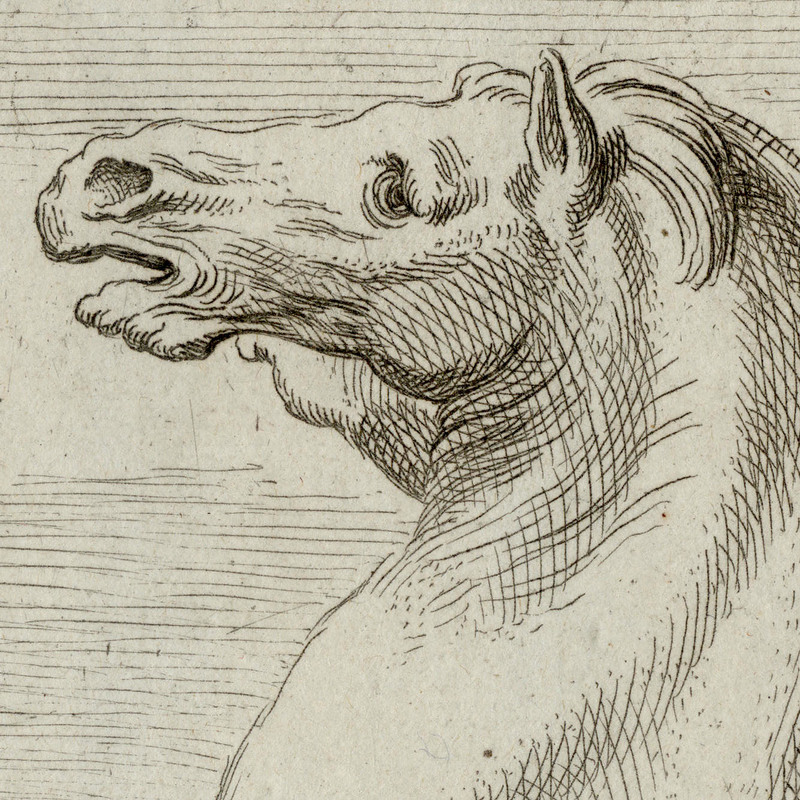 there are no tears, holes, folds, abrasions, significant stains or foxing, but there are minor signs of handling in the margins). 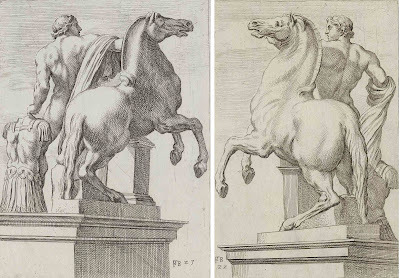 I am selling this pair of superb early etchings—showing opposing sides of the same sculpture of Alexander the Great training his stallion, Bucephalu—for AU$300 in total for the pair (currently US$213.33/EUR187.66/GBP162.58 at the time of posting these prints) including postage and handling to anywhere in the world (but not, of course, any import duties/taxes imposed by some countries). If you are interested in purchasing these graphically strong etchings from 1638, please contact me (oz_jim@printsandprinciples.com) and I will send you a PayPal invoice to make the payment easy.